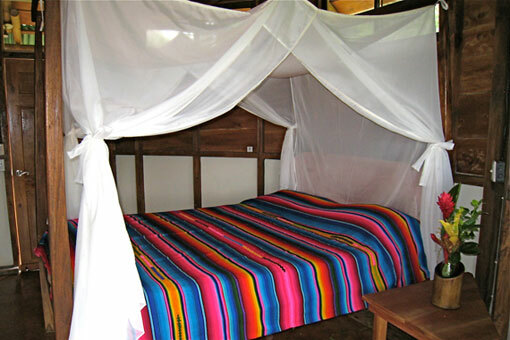 50% Down Payment and the Rest Is Paid 60 Days Before the Trip! 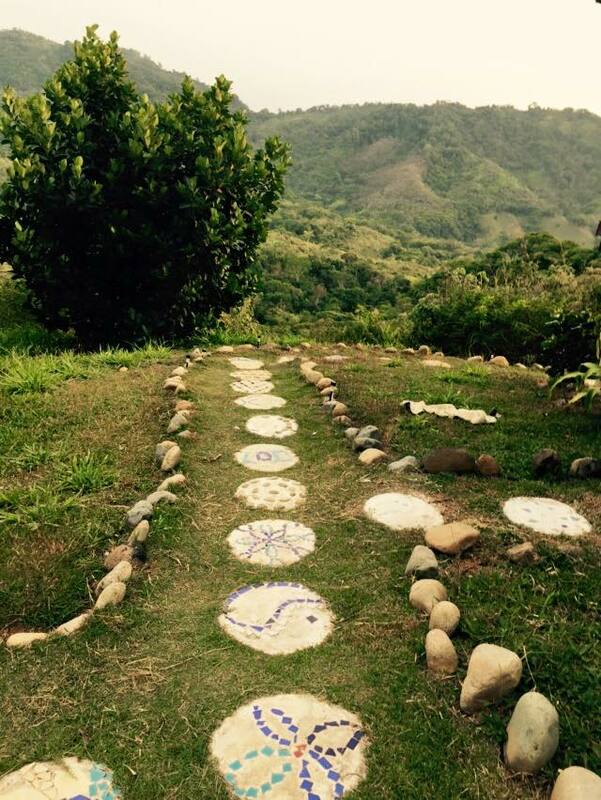 Karen, Gabriela and Marco Ranzi invite you to join them for a life-changing, unforgettable health and healing experience at the Love Raw Food & Yoga Retreat at Finca de Vida (Farm of Life) in Costa Rica from February 9 to 16, 2020. Whether you are a novice at living a healthy lifestyle or have been living one for years, this retreat is definitely for you! Karen, Gabriela and Marco are dynamic presenters, health and healing coaches, and educators who have helped thousands for the past 20 years to take their health to the next level. This exciting event will give you the ideal opportunity to surround yourself with other health-conscious individuals along with nature’s food and lush surroundings to nurture your physical body and spirit. Imagine being in paradise with this all-inclusive package deal. Have amazing fun! Gain the health you want at all ages! Transform your life! Experience many other cool eco-adventures! 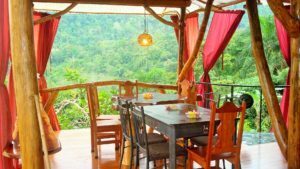 You will leave the retreat inspired and motivated to take the very best care of your health after raw food and spiritual coaching with Karen, Gabriela and Marco Ranzi. This coaching will include increasing your health on all the physical, mental, emotional and spiritual levels. You will experience a fun and relaxed learning atmosphere! 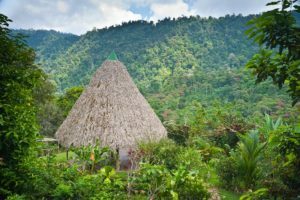 There will be new health and healing concepts presented from Karen’s research and experiences along with Gabriela’s and Marco’s combined wealth of experience . You will join others in group yoga or Qi Gong sessions that will be aimed at improving movement, restoring flexibility and posture, and toning muscle. 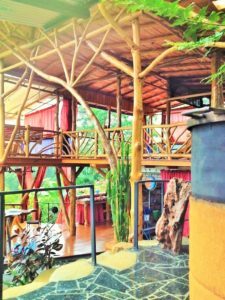 These sessions will not only help you feel much better, they will also help to prepare you for the eco-adventures and other fun activities you may choose to participate in. We will eat the most delicious food you can imagine! Supremely tasty and nutritious whole, natural, vegan, raw and living foods will be served to you daily by our master chefs and kitchen staff. Your palate will be tantalized as you indulge in healthy meals that nourish every part of your being. 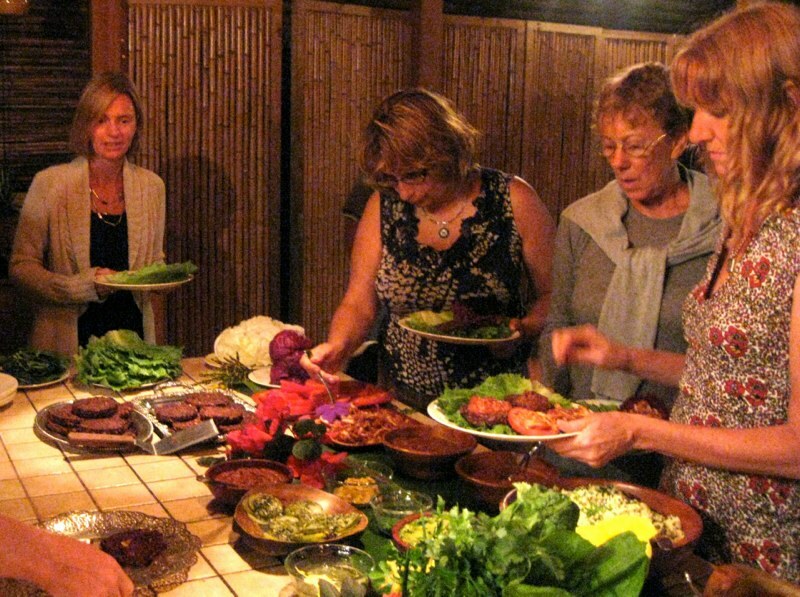 You don’t have to be a 100 percent raw foodist to attend this event to be happy. Please let us know how we may fulfill any special dietary needs. Dancing; practicing yoga; chanting and singing; learning about healing the Chakras with Brian; crystal sound bowls; creating music; watching movies; playing games; taking time to relax, reflect and meditate; and sharing your thoughts and feelings as desired are just some of the enriching and fun ways that will help you and others enjoy your stay. 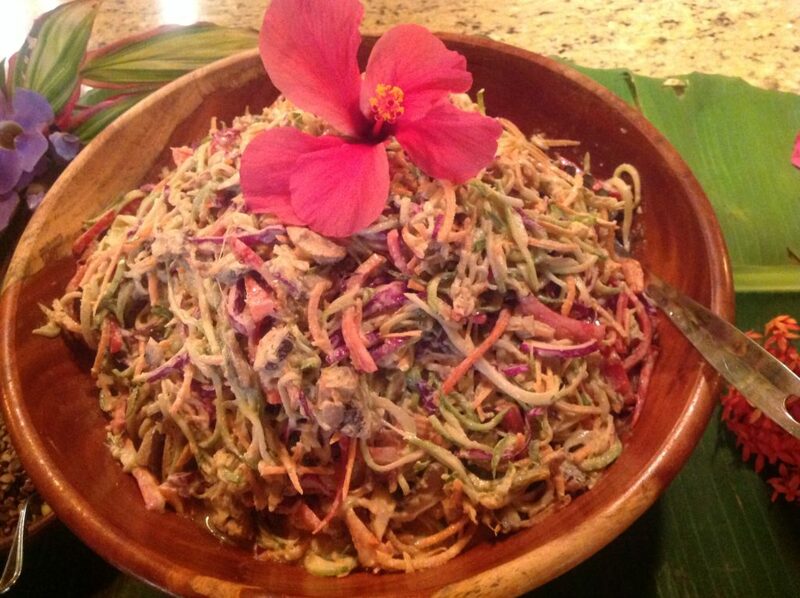 The Love Raw Food & Yoga Retreat is created by Karen Ranzi, M.A. Karen is an award-winning author, internationally renowned lecturer, plant-based and raw food consultant and raw food chef. 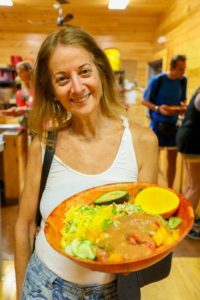 Karen travels throughout the United States and abroad delivering her impassioned message about health and wellness through raw living plant foods. She has presented for universities, schools, health institutes, expos, associations, organizations and festivals. For the past 20 years, Karen has helped thousands of individuals and families to reach their health potential. 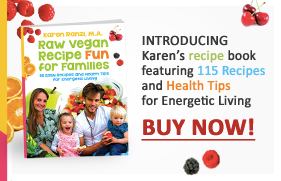 Karen is author of the groundbreaking books Creating Healthy Children and Raw Vegan Recipe Fun for Families as well as Fun Raw Food Finger Foods. Karen was presented the Peer-to-Peer Award for Service to Children’s Health and the Best of Raw Award for Top Professional Simple Raw Food Chef at the Raw Living Expo in California. She won the Bronze Medal “Living Now Award” in the category of Health and Nutrition from Independent Publishers for Creating Healthy Children. Karen was able to heal her son from asthma, chronic ear infections and multiple food allergies in 1994 while also healing herself from decades of cystic acne and digestion problems through a raw food lifestyle. 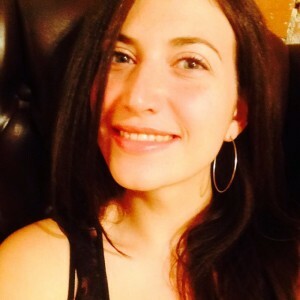 Karen is so excited to co-lead the retreat with her daughter, Gabriela Ranzi, who was raised on a vegan lifestyle from birth and then a raw vegan lifestyle from age 5 along with her brother. Gabriela graduated from Clark University with a degree in Global Environmental Studies. She is the manager of Turtle Lake Refuge in Durango, Colorado, a nonprofit environmental organization focused on a mission of celebrating the connection between personal health and wild lands. Gabriela grows, harvests and prepares local, wild and living food for the community, educating about the values of the wild edible abundance and providing local microgreens for public schools and farmers’ markets. 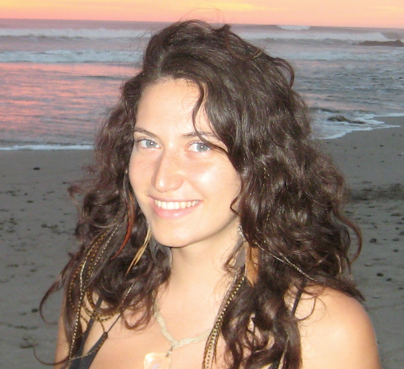 Gabriela also co-owns a Kombucha business, Solavita, in Durango, Colorado. 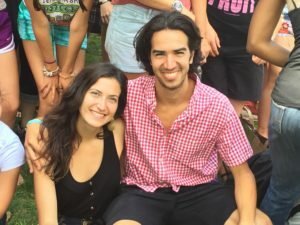 Karen is so excited to co-lead the retreat with her son, Marco Ranzi, who was raised on a vegan lifestyle from birth and then a raw vegan lifestyle from age 3 along with his sister. Marco has been involved with sports and athletics since a young child, always loving the games of soccer, tennis and football. Later during his homeschool years he interned for Madison Square Garden, working for the NY Knicks and Rangers, WFAN, Channel 12 News, and Seton Hall University Basketball. Marco graduated from Penn State University with a degree in Sports Journalism and Business minor. He broadcast Penn State Women’s Volleyball, Men’s Basketball and Football, also traveling to Indiana to broadcast the Penn State/Perdue University Football Game. Marco is the sports coordinator at the annual Woodstock Fruit Festival since 2015. 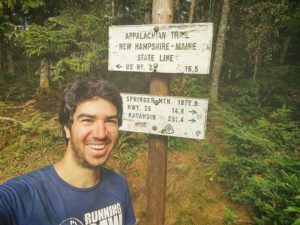 Marco hiked the 2200 mile Appalachian Trail from April to October 2017 from Georgia all the way to Maine. Marco has studied Vegan Sports Nutrition mentoring with Dr. Douglas Graham and sports luminaries, and is a Sports Performance and Nutrition Coach. Marco currently is employed with Court Sense in Tenafly, New Jersey as a tennis coach. Our hosts, husband and wife team Brian and Jody Calvi, are health enthusiasts with giant hearts. Their respective histories with disease and long fights for recovery inspired them to open Farm of Life. They are grateful for the healing journey they’ve experienced and feel their higher purpose is to give back to others in need. Brian and Jody are here to assist guests, support your healing journey, arrange tours and services and make your visit exemplary. Brian’s farm tours and personality are a highlight for many on the Farm. Learn more about The Farm of Life at FarmofLifeCR.com. I have a success story! The week before starting 100% raw vegan foods I was taking up to four 800 mg of ibuprofen a day for chronic back pain. After one week of raw foods the pain had diminished by 80 to 90%. I haven’t taken an ibuprofen in 6 days! I’m also sleeping better, and packed away the sleep aids I had brought, no longer needing them. The tums sat by my bedside the whole time I was on the Retreat. Usually I take one nightly; I never needed one! I’m grateful. I am so happy I came to Karen’s Love Raw Food and Yoga Retreat. It was very supportive to be around people who are eating raw foods as I do. I learned more about eating greens, herbs, a life with more snuggling, more yoga, and fun hiking to beautiful waterfalls. Living in Colorado, I learned that I need to take advantage of the beautiful outdoors and start hiking again. Also, Karen has been inspirational in her very calm and encouraging way. She has laid the ground work and tools to go forward and change my life. 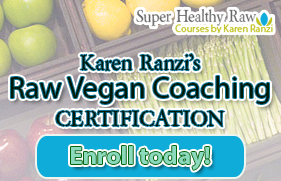 Karen has a wealth of information that she is more than willing to share and educate on the rewards of a raw food diet and what you can gain in your life for optimal health and spiritual connection. 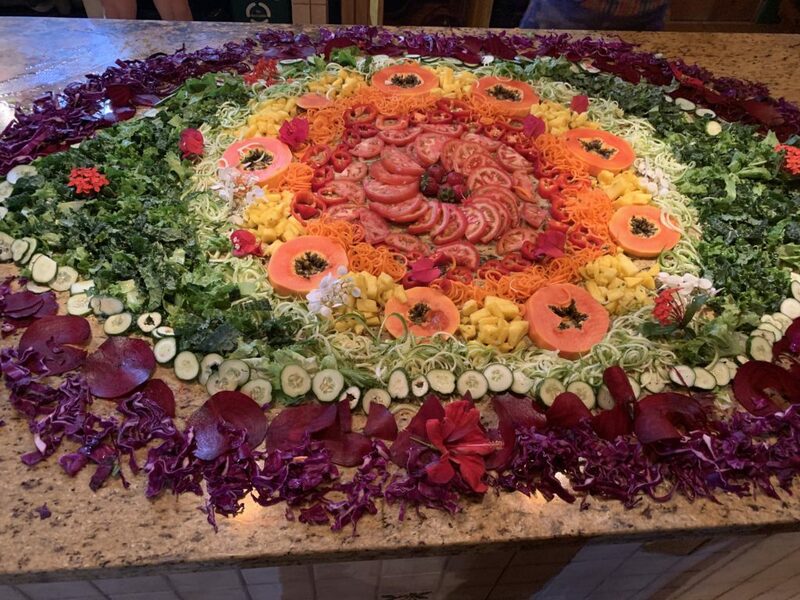 Thank you for convincing my family to go on this Love Raw Food and Yoga Retreat. I am grateful for the way I feel now that I have eaten a raw food diet for a week. Thank you! The trip to Finca de Vida taught me that a raw vegan diet is not the only component of a healthy lifestyle. I needed the sunshine, daily yoga, meditation, and hikes to waterfalls to really feel healthy. I brought this understanding home. I now engage in regular exercise and get outdoors as much as possible. This trip changed my life! 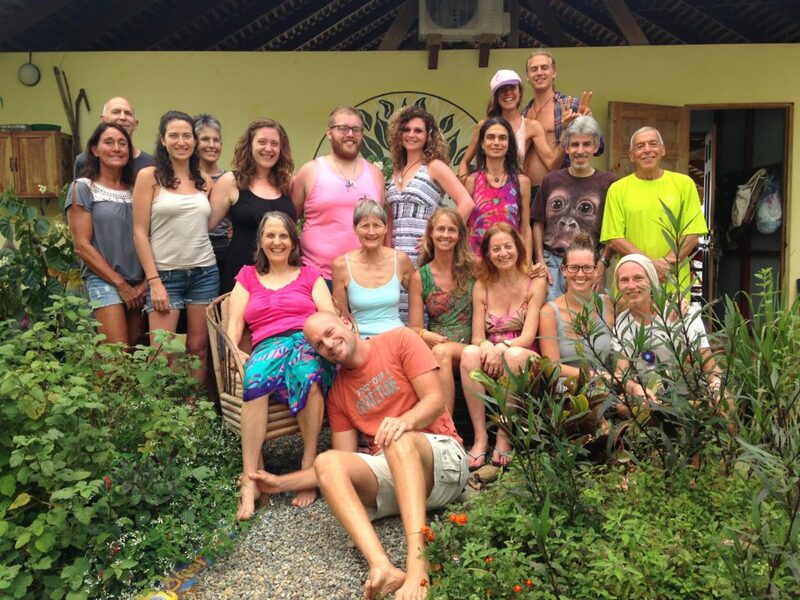 I’m so happy the Universe brought us together here in Costa Rica and in life! You are an inspiring presence in my life. I look forward to many more retreats and get-togethers with you. Thank you so much for showing me this beautiful place. I had such a great time here with you. You are truly such a kind and giving person and I am so happy that I met you. What a great trip! Thanks for all of your hard work to organize and run the retreat. It was nice to see you again! 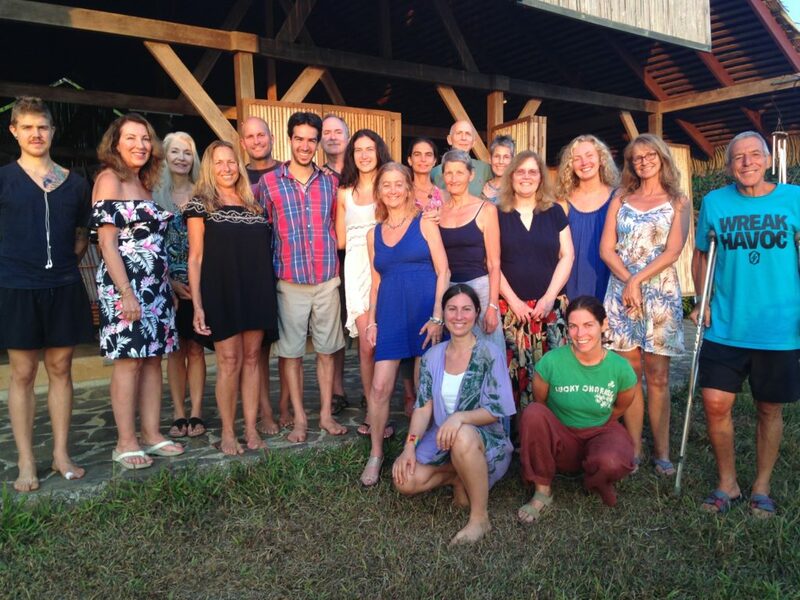 I came on Karen Ranzi’s Raw Food Retreat at the Farm of Life. It was amazing! Just amazing! Adventurous, full of nature, pushing through limits … emotional limits, physical limits, spiritual limits. Every moment was filled with something adventurous, exciting. Karen attracted, manifested a great group of people. Farm of Life is an amazing place, and Karen is an amazing woman with a lot of knowledge beyond knowledge of the raw food diet and an exceptional teacher and exceptional speaker. I learned so much from her, and she’s very kind and caring, and I’m so grateful. Thank you, thank you, thank you … . And check it out! 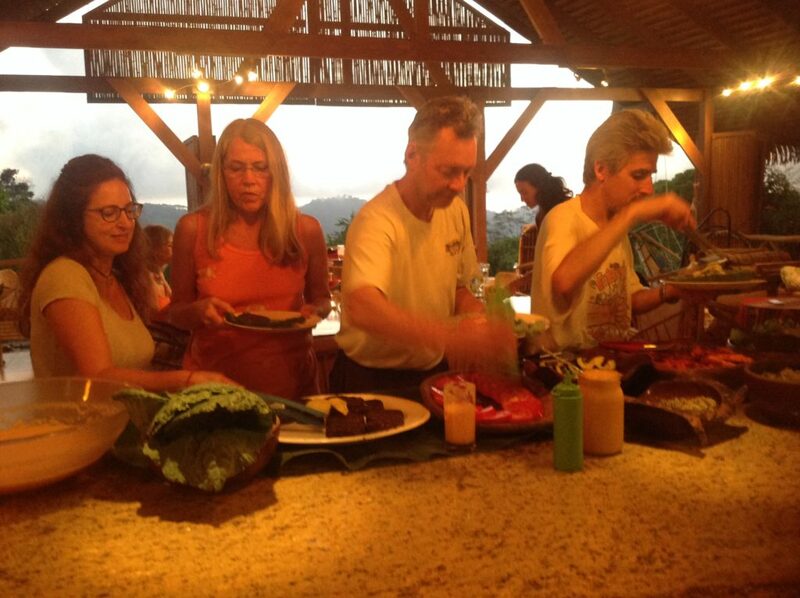 I loved the Love Raw Food & Yoga Costa Rica Retreat! We hiked every day, swimming in waterfalls, eating delicious food. I had a blast! I had a terrible rash on my hands for several months. It went away and then it came back. 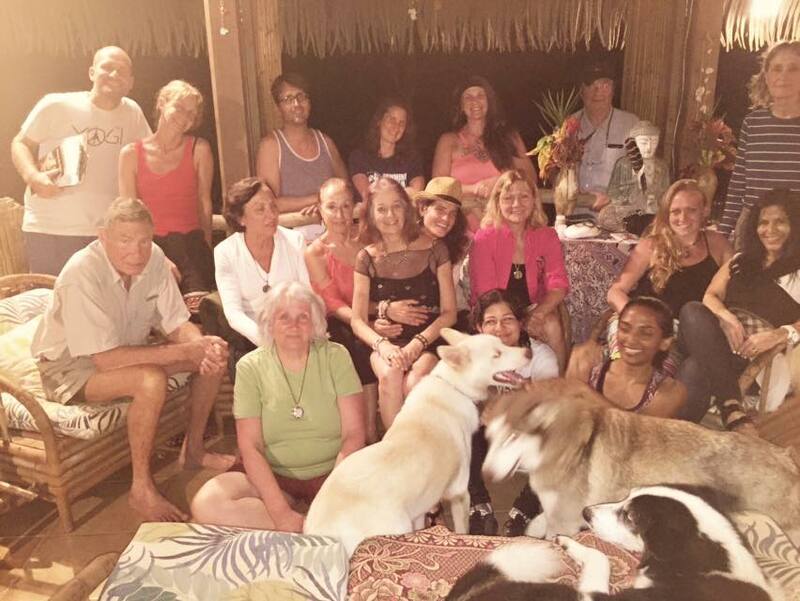 In just a few days at the retreat, it completely healed just by eating raw foods, swimming at the beach and being out in the sun. 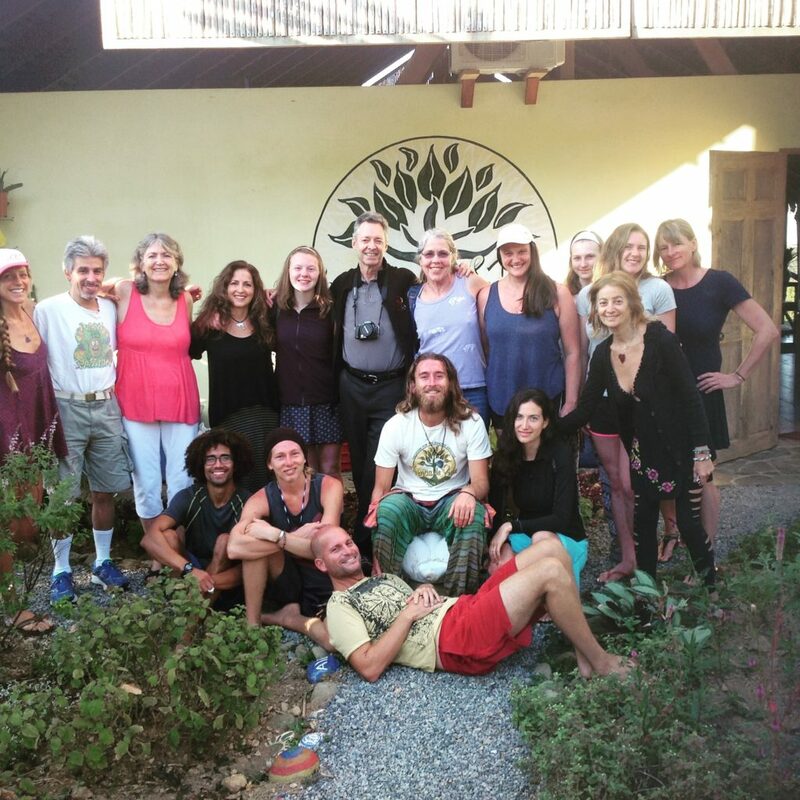 The Love Raw Food & Yoga Retreat was the most amazing experience I’ve ever had. 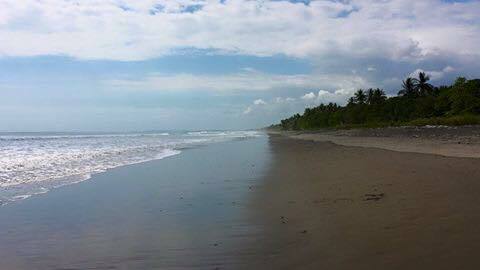 The best food among other people who enjoy taking yoga classes, hiking to the waterfalls, going to the beach. The weather is incredible, and we escaped the winter of the Northeast. Karen’s coaching classes were incredible. I learned so much and met beautiful people on this trip. It was just an incredible experience, and I loved every minute of it. I’m so glad I actually came with you, Karen! Thank you! I would come back again. 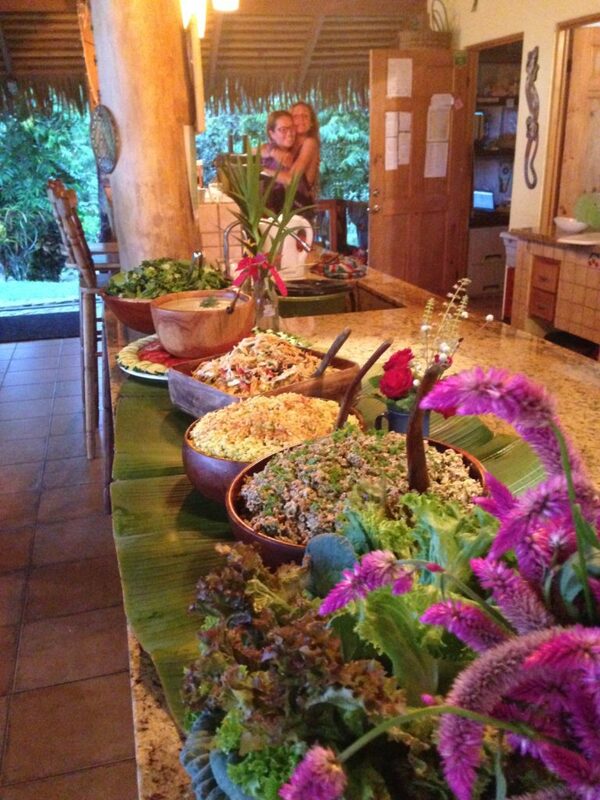 This raw food retreat was amazing! Three-quarters of the things that we did here I didn’t expect. Karen worked so hard, and this retreat is reinforcing my healthier lifestyle. I can’t even say it’s a dream come true because I couldn’t have dreamt such an amazing amazing experience. I really think it surpassed all my expectations. 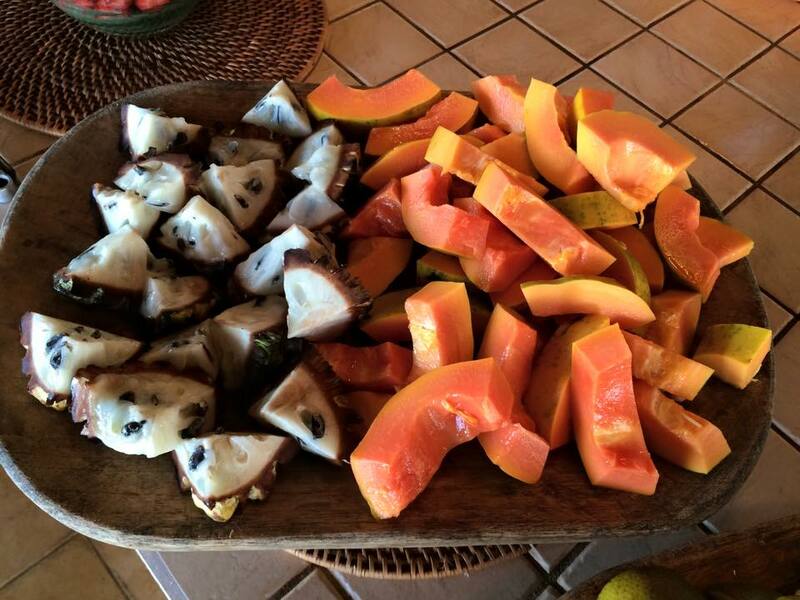 The food was amazing—all the tropical fruit. The mountains, so serene and beautiful. The hikes, the Diamante waterfall. 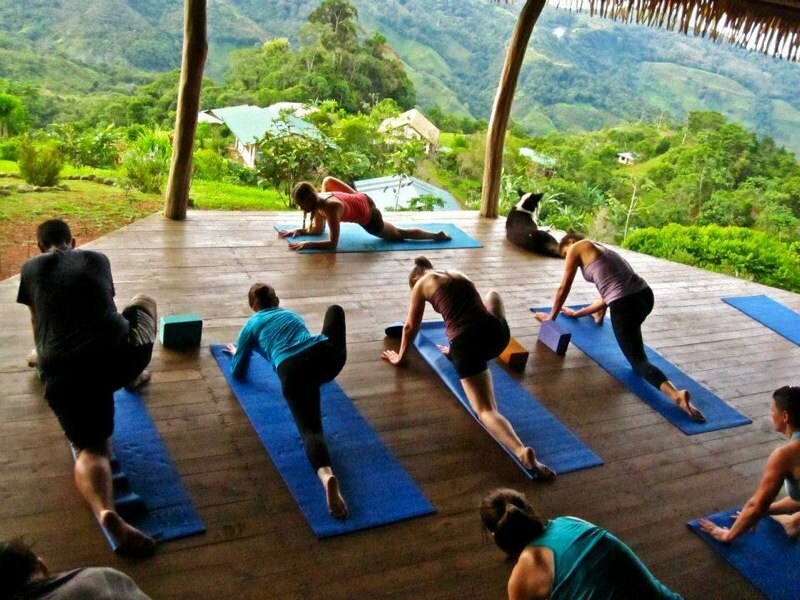 Everything you put into the trip … the food and the yoga … . And I got so much inspiration because my profession is design, and I design swimwear for boys and girls. I use tropical flowers in my designs. I must have taken 200 pictures of flowers in Costa Rica. You worked so hard, Karen, but it was very worthwhile. I’m going to increase the amount of raw food I eat at home, and I know now how good it is for me. 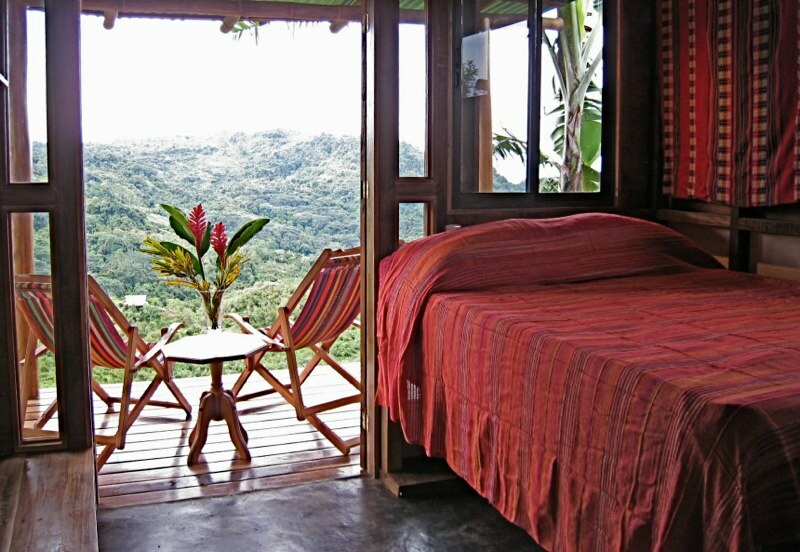 Take a look at your gorgeous accommodations at this amazing raw food retreat center in Costa Rica! Check out the beauty and scenery you’ll experience! 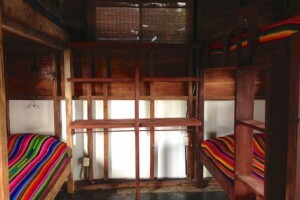 Natural, cabin-style housing, which can accommodate up to four people per cabin, is available. 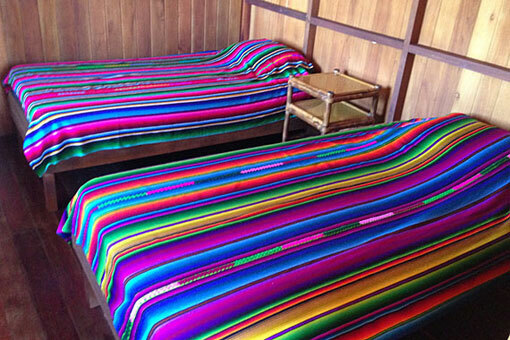 Single beds, double beds, and bunk-style bedding may be an option. There is running water (hot and cold), showers, electricity and flushing toilets. There is a common area that has full kitchen facilities as well. 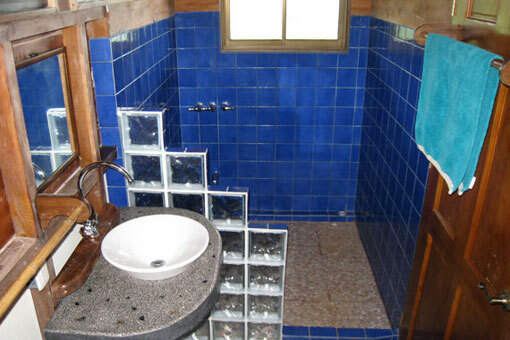 Reservations of cabins are on a first-come basis. Pricing includes accommodations for seven nights and six full days, including a welcome dinner and goodbye breakfast. 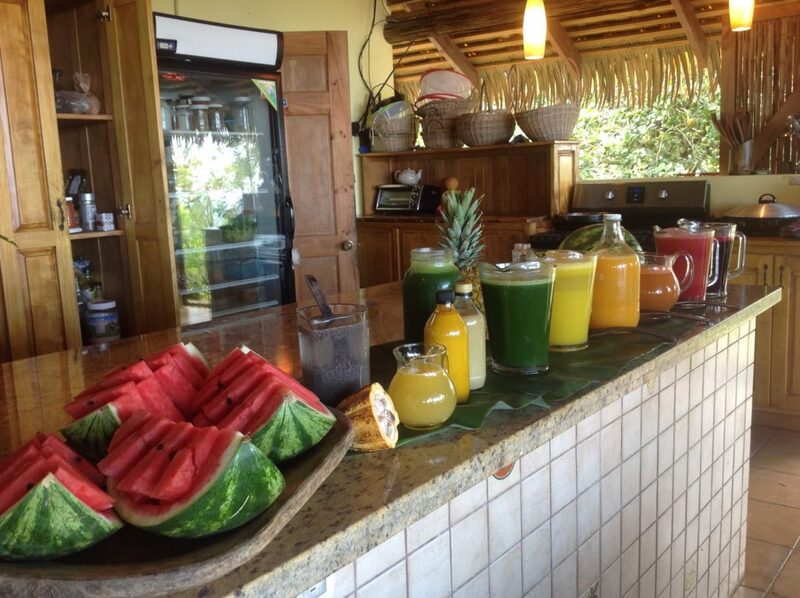 Each day, three meals of whole, natural, vegetarian raw and living foods as well as snacks will be provided. Again, you don’t have to be 100 percent raw foodist to attend this event. Please let us know if you have special dietary needs. Air travel is not included in the price, but travel to and from the airport to the retreat site will be provided. Prices do include any Costa Rican sales tax that may be applicable. 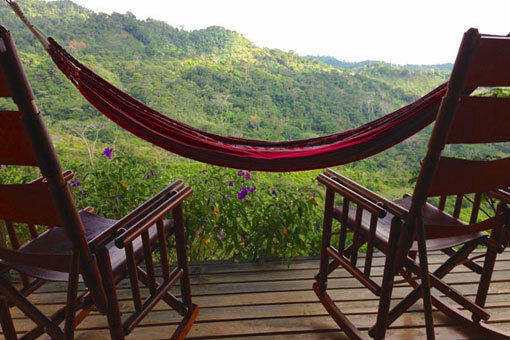 Note: All retreat participants will have to pay a departure tax of $28 USD at the airport in Costa Rica before returning to the United States. Space is limited to 20 participants per retreat. Room reservations are on a first-come basis. A 50 percent deposit fee will be charged upon receipt of your registration, and the remainder is due by 60 days before the retreat begins. If you cancel yet your spot is filled, then you will be charged only a $75 administrative fee. (Note: Your spot is considered filled once all spots are filled and there is a waiting list. Or you can personally fill your spot by sending a replacement participant on your behalf.) If you cancel yet your spot is not filled, then you will lose your entire payment unless you choose to apply this payment toward the following year’s retreat tuition. If the retreats are canceled by the retreat host or facilitators, all participants will receive a full refund. However, any travel expenses will not be reimbursed. 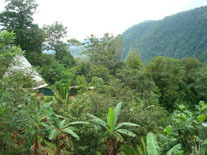 All activities are optional, but are included in the price of the retreat. Some activities may be physically strenuous. It is the responsibility of each participant to use good judgment as to which activities they can safely participate in. Neither “Farm of Life” nor Karen, Gabriela or Marco Ranzi are liable should you injure yourself while attending this retreat. You will need to sign a liability waiver prior to attending the retreat. The event hosts and facilitators are not responsible for any travel delays or inconveniences either. Please let us know if you have any type of allergies. Our rooms are not currently handicap accessible. Finca de Vida is working on it. Amy’s original home, The Rancho! We recommend flying direct to San Jose International Airport in Costa Rica, if possible, to avoid any potential travel delays or problems. 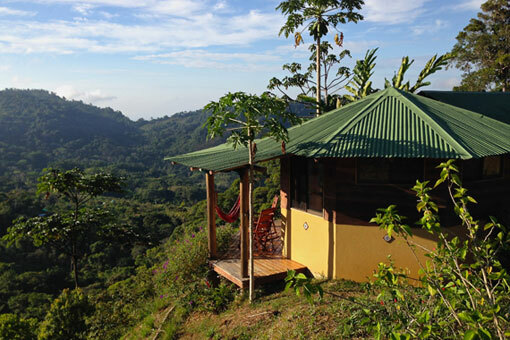 The retreat starts on February 9th, so you will need to arrive in Costa Rica by February 8th. 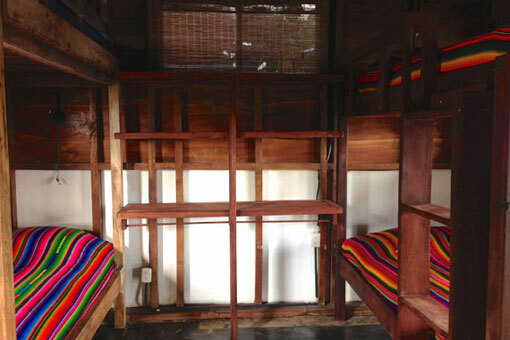 The retreat shuttle will pick everyone up at our designated guesthouse in San Jose about 7 a.m. February 9th and bring you all to your first adventure. On the last day of the retreat, which is February 16, the retreat shuttle will bring you back to the airport early that morning so that you can make an afternoon flight from 2 p.m. onward on the 16th. Or if you choose to stay in Costa Rica longer, you can get a taxi at the airport. To give yourself enough time to get to the airport, I would recommend booking return flights home at 2 pm or later if leaving on February 16th. If not using the complimentary transportation that will be provided during the specific scheduled window of time we have arranged, you will be responsible (including expenses) for getting yourself to and from the retreat location. Options include: taxis, shuttles, buses or rental cars. You will be sent an email with a detailed list of things to bring with you. 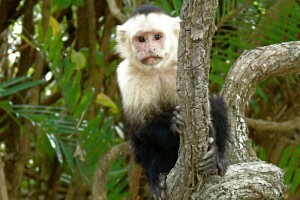 If you don’t live in Costa Rica, you will need a passport. 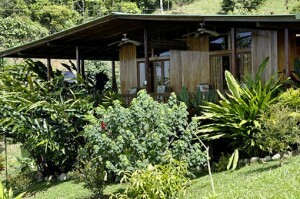 Please visit FarmOfLifeCR.com for more traveler information and to view pictures of the retreat location. We look forward to a week of inspiration, rejuvenation, playfulness, education, healing, daily adventures and mindfulness. We are certainly interested. Me, my wife and my 5 year old son. Would it be full price for my son ? Could we get discount for my son ? thanks. I’m excited to hear you’re interested. 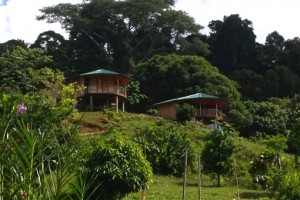 I’m going to speak to the owners of Finca de Vida to see how it will work for your 5 year old. With kids in mind, would there be a price difference for a thirteen-year-old and an eleven-year-old? Hi Gabrielle, Children over age three are full price as they have their own bed and most often eat a lot of the food. They will have a fabulous time. There is a family of four coming with a mom and her three teenage daughters. It would be great to have you with us! You can email me directly at karen@superhealthychildren.com. Remember me? I lived in NJ in 2016, and attended a few of your classes. I now live in FL. I am still interested in your 2017 Retreat (remember, I was willing to go in 2016). My number is the same. How do I sign up? 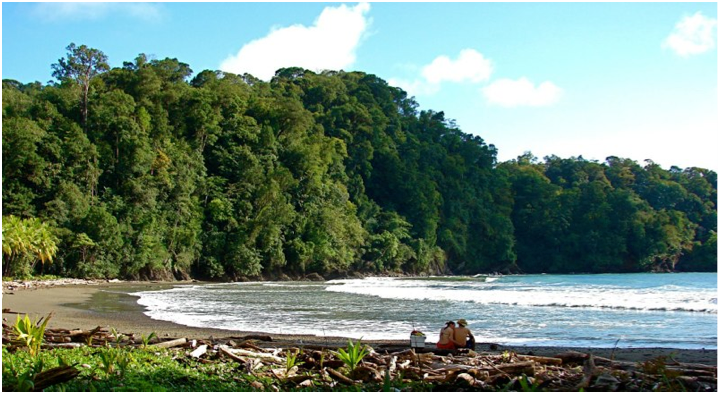 We would absolutely love to have you join us for the 2017 Costa Rica Retreat! Let’s talk. 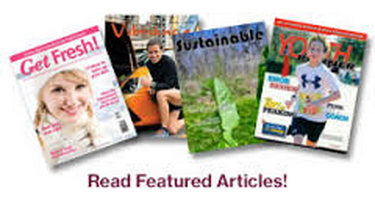 Email me your phone number at karen@superhealthychildren.com. When is your 2018 retreat? Sarits, Sorry I didn’t see this message. 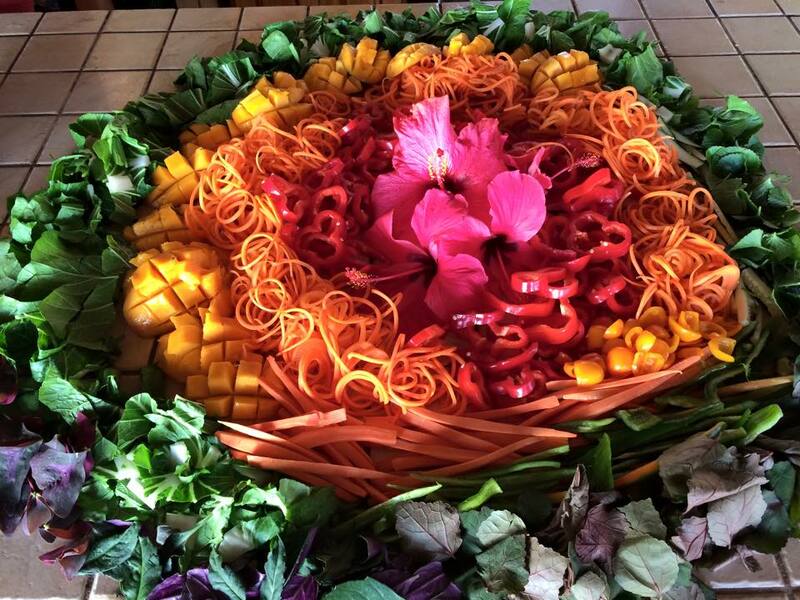 The next Love Raw Food & Yoga Retreat is February 11th to 18th. Please feel free to ask any questions if you would love to join us. You can email me at karen@superhealthychildren.com. I want to come and bring my sister with me, but she has a one year old son. Does it cost for him too? If so, how much? There is no charge for children under three years old. 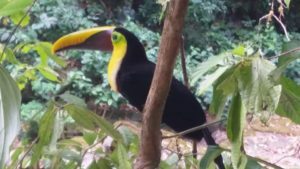 If you want to come to Costa Rica with us this February I would need to talk with you soon as the retreat is very close to being full. Please contact me at 201-934-6778 and if I’m not available you can leave your name, number and email. Excited to hear you’d like to join us! is it still possible to join the retreat ? 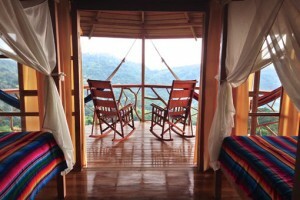 We have space for two women in one cabin and even though the retreat center is full, there is a beautiful cabin next door if you are a couple. Let me know what you are interested in and please contact me as soon as possible at karen@superhealthychildren.com or call at 201-934-6778.
hi , i tried to call you cause i had couple q.